Are you fed up with your old Android phone due to its slow working? Does your phone crash frequently? Does your device experiences storage issues? Don’t worry anymore! We have got the perfect solution for you – ITL Phone Cleaner! ITL Phone Cleaner is a great cleaning master app for your Android phone. It scans your device for junk files and speeds up its performance instantly. It is a complete clean master for Android which keeps your device running like a new one. What is a Cleaning Master? A cleaning master app gives your device an extensive device cleanup to provide more space and better speed. It uses advanced cleaning technology methods to remove junk and cache files with just a single tap. This cleaner app optimizes your device storage to give you the best out of your device. Another superb feature of this junk cleaner for android phone is that it deletes unwanted data stored through WhatsApp, Instagram, Facebook, Messenger and other social media apps. ITL Phone Cleaner is the best cleaning master for your Android device. It cleans all the useless files present on your device and boosts your device’s overall performance. ITL Phone Cleaner is a complete clean master for your Android device. With the extended use of an Android device, it becomes cluttered with thousands of junk files such as temp files, system cache, app cache, empty folders, APKs, etc. These files are created by the installed applications on your phone. These junk files use up a lot of storage space on your device and highly impact your device’s performance. You need to delete these junk files to ensure regular and smooth working of your device. A cleaning master can easily remove these files and let you recover a high amount of storage space on your device. This, in turn, optimizes your device. Therefore, you require an efficient cleaner app on your device. How ITL Phone Cleaner- Cleaning Master Works? Tap on the “Junk Cleaner” option, i.e., the first option available in the app. The Junk Cleaner starts scanning all the junk files present on your device. The Junk Cleaner gives you the list of all types of junk files along with the numbers of these files. You can select which files you want to delete. By default, the Junk Cleaner selects all categories of junk files except the APKs as they could be significant for you. Now, tap on ‘Clean Junk’ to remove the junk files from your device. The junk is cleaned in seconds and you recover a huge amount of storage space. Reclaim more space and enhance the performance of your phone with this cleaner app. Why you Need Cleaning Master for your Smartphone? When we install various apps on our phone or use the phone to browse the internet, watch videos, play games, or do other stuff, it produces a lot of junk files in the device memory. Therefore, the device becomes cluttered with junk files. These junk files get accumulated over time even when they are no longer needed due to the continuous usage of the device. The more data you have on your device, much slower is the performance. Therefore, you need to clean these junk files from time to time with a cleaner app. If the junk files are not cleaned regularly, it can hamper your device performance and highly slow it down. At this point, a clean master app becomes very important. Removing junk files will let you regain lost space. This will give you more space for new applications as well as media files such as audio files, videos, photos, etc. More device space also saves you from frequent mobile slowdowns and crashes. ITL Phone Cleaner is a clean master 2018 for all your Android devices. It is the complete cleaning solution with effective features to clean and optimize your smartphone. This app is your complete Android cleaning package which keeps your device running like a new one. It has been developed by experts to clean and optimize your Android mobile. 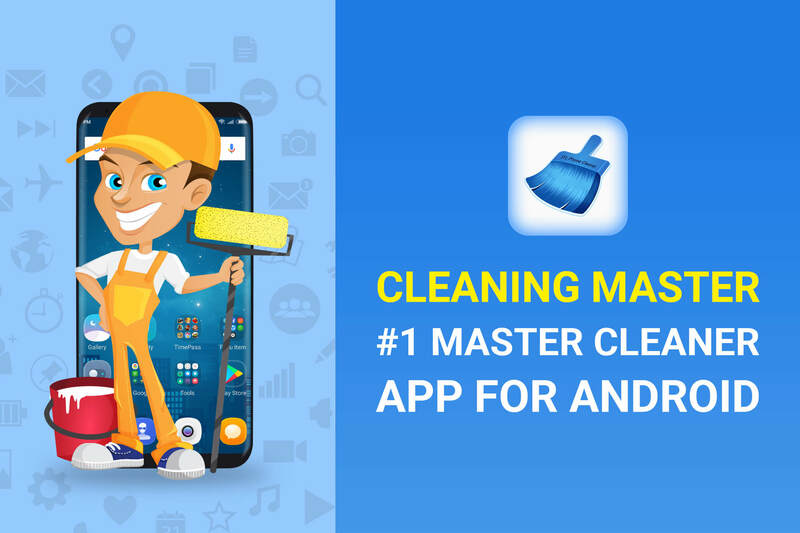 The latest version of this clean master app is equipped with attractive features making it one of the best Android cleaning apps. It is a must try for all the Android users! ITL Phone Cleaner is packed with great features which include Junk Cleaner, Phone Booster, Battery Saver, Game Booster, CPU Cooler, Antivirus, Duplicates Cleaner and many more. It is one of the best Android apps for cleaning and boosting your Android device. It scans & cleans your device effectively and boosts its overall performance. Junk Cleaner- Scans and cleans all the unnecessary files on your device, hence discards junk and frees up storage space. Phone Booster- Terminates processes running in the background, thereby frees up RAM and increases phone speed. Game Booster- Speeds up the performance of gaming apps by killing unnecessary background apps. Social Cleaner- Scans your social apps to let you delete useless social media files. CPU Cooler- Monitors your device CPU to reduce its usage and cool down device. Battery Saver- Provides various settings to manage your device battery effectively. Duplicates Cleaner- Finds and cleans all the duplicates & similar photos on your device. Antivirus- Protects your device from threats and offers real-time protection. App Manager- Lets you manage all the installed apps to make good use of your storage space. Space Manager- Finds all the large files so that you can delete the ones you don’t need. ITL Phone Cleaner has thousands of happy and satisfied users on the Google Play Store. The app has an impressive star rating of 4.4. Without any doubts, this Android cleaner app is certainly the lightest and smartest clean master for Android available in the market.